Home / Le blog / That the show begins! Finally, not at once … There is still some work so that everything is completed for the welcome of the public. I have just lived a magic moment, however the enthusiast of circus I am. 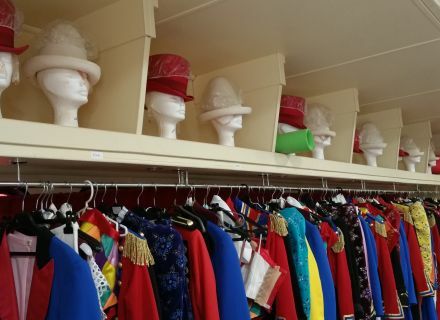 Enter behind the scenes of a circus and what a Circus! 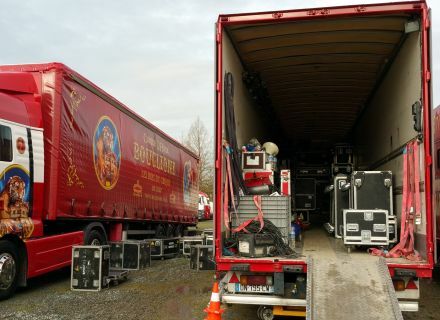 The Bouglione Circus arrived to Niort at the beginning of the week. What an event! 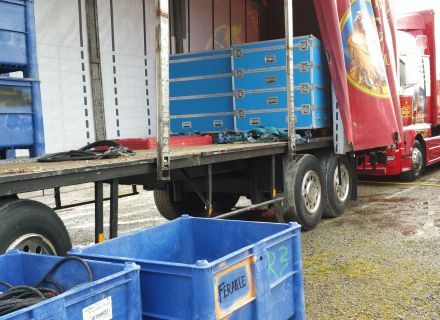 It has been 35 years since the Bouglione Circus had left on tour. But, he always stayed in our memory for those who knew the " Track in Stars ". This tour, begun in September, asked on one year of preparation. 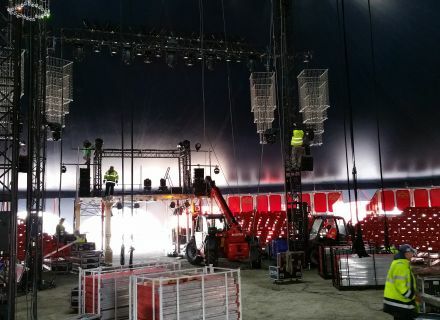 Everything is new: the capital of a capacity of 1800 people, the cables, the floor, 200 projectors, 150 vehicles … When the Bouglione Circus moves, it is a 10 km convoy! At first an appetizer is proposed to you. 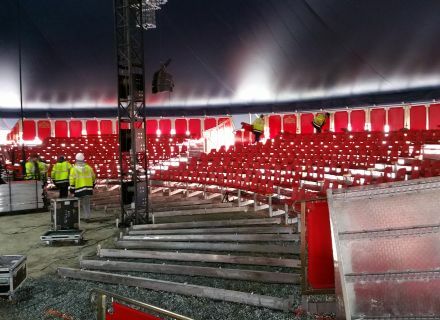 30 minutes before the show, the artists come to welcome you in the " Café of the Circus ". A former caravan transformed into small museum of the circus of former days where throne objects gleaned here and there according to the tours of the family Bouglione. You can also taste there Italian dishes in an atypical decoration. Comfortably installed, you enter the magic of the circus. The lights go out, the orchestra compound of 8 musicians, intone the first airs of the " Track in Stars ", 6 dancers give you the rhythm and it left for 2 hours of show with spectacular numbers to take the breath away of you! 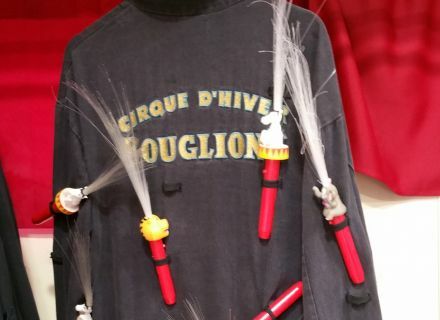 To begin with Robin Valencia, the woman cannon which in 60 km / hour is going to land on a huge inflatable mattress; Don Christian, the clown; the number of jugglery of Sampion Bouglione Junior and Pierre Marchand and his devilish diabolo! But, I do not tell it to you more and let about you dream about the show which waits for you from Friday. And a last word to conclude: bravo to all these artists! Come to try your luck. We have within our reception niortais, 8 places to make you win for the Friday evening session! The sessions: on Friday April 1st, at 8 pm; on Saturday, April 2nd, 2:30 pm, 5:30 pm and 8:30 pm; on Sunday, April 3rd, at 10:30 am and 2:30 pm. Price rates: from 15 to 50 € (on-the-spot box office).